Drop shipping has made selling online easy. It allows you to start an online business without investing capital in inventory and warehouse. But the ease it provides is a double-edged sword: since it is relatively easy to start a drop shipping business online, many online retailers use the model, making competition extremely tight especially in big markets such as Amazon and eBay. You can find yourself in highly competitive drop shipping markets where thousands of other merchants offer the same exact products at very low prices, squeezing out any of your profit margins should you attempt to compete head-on in terms of price. Treat drop shipping as a real business. Many online entrepreneurs are attracted to drop shipping because it is “easy”. Many eCommerce providers and even drop ship suppliers have made it easy to set up a website selling drop shipped products. They offer merchants with stock photos and product descriptions, which merchants then use because it is an easy way to build their websites and populate their product assortment. If you think that starting a drop shipping business simply means finding drop shippers who will give you their product feed, setting it up with your eCommerce system and automatically presenting it on your site, then you are most likely going to fail. There is more to drop shipping than simply uploading to your website thousands of products straight from a drop shippers feed. If you want to earn money from drop shipping, you need to do a lot of work in presenting the products uniquely and setting up your site differently from other online entrepreneurs selling similar drop shipped products. You may be more successful with just 10 products all uniquely presented rather than 10,000 products using the drop shippers’ photo and descriptions. It’s not easy, but this is essential to success in drop shipping. Find your own drop ship suppliers. Avoid using directories and online drop shippers list as they are most likely already being used by thousands of other merchants and competitors. Your business will go belly up fast if you launch on Amazon using the same drop shipper as hundreds of other merchants. The only way to make good money now from drop shipping is to find your own suppliers. The most successful drop shippers are those with the ability to find the right suppliers and get the right deals. Do a lot of research to find a good market niche that is not yet saturated in order to make good revenues. Children toys may be a bit crowded market but there may be loads of opportunities in smartphone cases. Clothing – women, men’s or children’s – also remain a viable market. Or check out products that do well in other countries but have not found its way to the United States or Europe. Be an expert in getting targeted traffic. Getting products to sell through drop shipping is just the first step of the equation. You can blow your competition out of the water by knowing how to find traffic – lots of it, and preferably traffic that converts. Think of online marketing strategies that can bring in targeted traffic. Get your website at the top of the search engines; and one way is to make sure that you spend time crafting unique descriptions for your products and avoiding the cookie cutter photos and product descriptions supplied by your drop ship suppliers. Create a blog and write information about the products that you are selling. You also need to know how to efficiently use paid advertising such as Google Adwords and Facebook ads. Provide your customers with excellent store experience. When you are drop shipping, you are competing with businesses that offer the same products. It is important to differentiate yourself from these other merchants. Set yourself apart with your website design, product range, usage of promotions and guarantees, and service. Combine pure drop shipping with offering your own shipped products. A good evolution for a drop shipping business is to offer your own branded products for sale. This is riskier and costlier business model, but it offers you a more defensible revenue stream and you won’t have to fight in terms of prices as much as when you are drop shipping. Be mindful of your bottom line always. One of the biggest problem of drop shipping is competitors driving down prices for same products. You will run into problems of getting really low margins while struggling to get the volume up. You can also have issues with shipping calculators underestimating shipping cost per order. 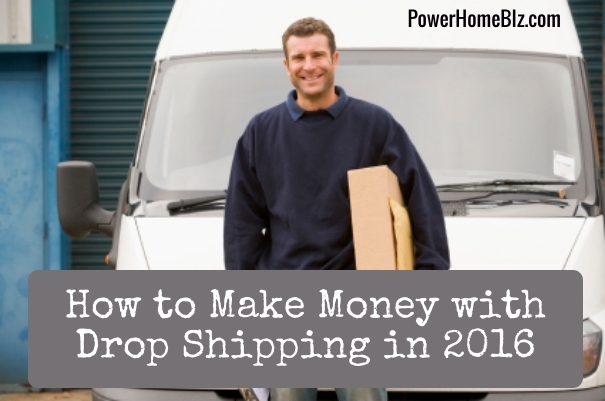 You can still succeed with drop shipping. But you will need unique products or unique selling points while marketing your online store like crazy.